Brian Peterson was born and raised in southern California in a Roman Catholic home. He came to Christ at age 19 as a student at Chico State University in northern California. After college and prior to seminary, Brian worked for a commercial real estate firm and then Campus Crusade for Christ. He was introduced to the PCA through an inner-city ministry in New Orleans, where he lived before moving to Jackson, MS, for seminary. Brian earned his MDiv at Reformed Theological Seminary and is now pursuing his DMin in historical theology at RTS Charlotte. His particular area of focus is Colonial Presbyterianism. 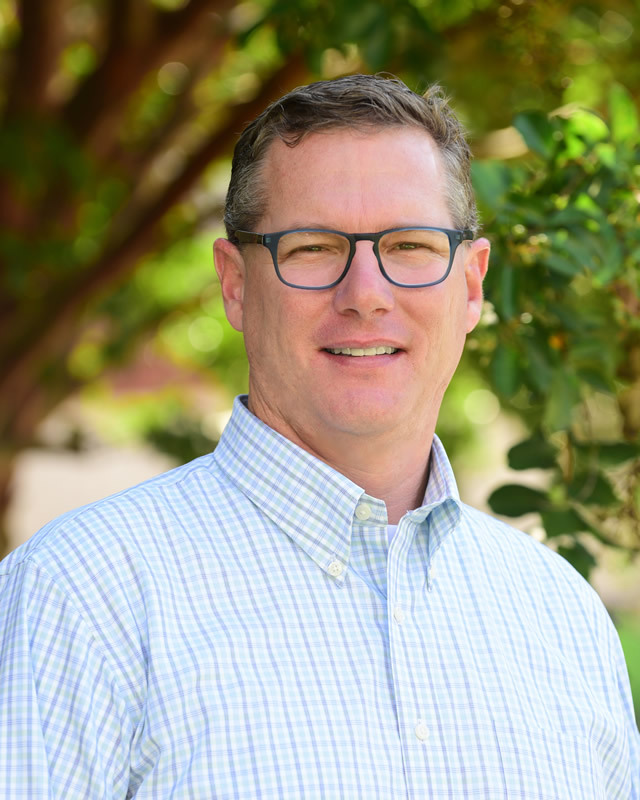 Before coming to Christ Covenant in 2015, Brian served as the Senior Pastor of a PCA church in CA for 13 years. The church planted two daughter churches during those years. His experience as a Senior Pastor has been used by God to equip Brian well for the broad responsibilities as Pastor of Student Families. As Pastor of the Student Families Community, Brian mentors and manages the youth pastors who are responsible for Student Ministries and the community’s staff. He is also Pastor of Covenant Groups, Small Groups, and Men’s Ministries. Brian serves on the Shepherding Committee and is the pastoral representative on the Covenant Day School Board. Brian and his wife Anna have been married for 17 years. They are the parents of seven children, ranging in age from 15 to 5. Brian enjoys developing their interest in golf, hiking, woodworking and early American history.